Neither immigration nor the recent spate of terrorist attacks around Europe has raised the threat of an attack in Norway, claim both government and police officials. Calls are going out, though, for re-arming the police and more barriers on city streets, while plans for Norway’s new police preparedness center have finally been approved. 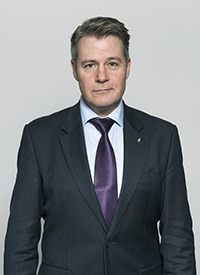 Justice Minister Per-Willy Amundsen of the Progress Party seemed to undermine the immigration skeptics in his own party, when he dismissed the refugee influx of 2015 as a threat to public safety. 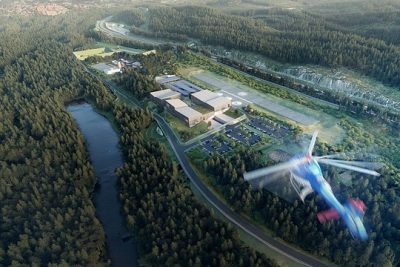 “It has contributed to a less clear situation without that meaning that it increases the danger of terrorism,” Amundsen told news bureau NTB after presenting approved rezoning plans for the new national preparedness center at Taraldrud in Ski, south of Oslo. He stressed that the refugee influx two years ago has meant that immigration authorities have had to gather more information to go through the backgrounds of those who arrived. He thinks, however, that Norway is much better prepared to handle terror threats now, after Norway’s terror preparedness was harshly criticized in 2012 by a commission set up to assess the response to the attacks carried out by an ultra-right-wing Norwegian terrorist on July 22, 2011. The current government that took over in 2013 has also been criticized for not following up on the commission’s recommendations. Now the police and military are working more closely together, according to Amundsen. He noted that the government has also added 2,000 positions to the state police and beefed up budgets for the police intelligence unit PST (Politiets sikkerhetstjeneste). Such agencies are working together across borders more than ever before and sharing information, while the government is also trying to prevent radicalization and violent extremism. The conservative coalition government of which Amundsen is a member is currently running for re-election, and keen to stress efforts being made to prevent terrorism. Last week’s attacks in the US, Spain and Finland illustrated the importance of preparedness and intelligence for preventing terror, Amundsen told NTB, but he couldn’t rule out the possibility of another attack in Norway. Special measures are being taken, like parking large vehicles across access streets to Oslo’s Karl Johans Gate during the May 17th Constitution Day celebrations. Last week, when thousands gathered on the grounds of the Royal Palace for a free outdoor concert by the Oslo Philharmonic, a large van was placed on a driveway into the palace’s park, to block access. Amundsen told Norwegian Broadcasting (NRK) during the weekend that he thinks local governments should consider placing more permanent barriers to streets like Karl Johans Gate, which is lined with outdoor restaurants and attracts large crowds of residents and tourists. The head of the police officers’ union in Norway is also urging that the country’s traditionally unarmed police once again be allowed to carry weapons, so that they’re better prepared if a terrorist attack starts unfolding.